More than 17,800 primary school pupils in Derbyshire have benefitted from a pioneering education programme to boost youngsters’ computing skills. The Barefoot Computing project, which has now reached more than one million pupils UK-wide, helps primary school teachers get to grips with computing so that they can better help their pupils. Led by BT and the British Computing Society, Barefoot offers free teaching-resources and volunteer-led training workshops, designed to help primary school teachers get confident when teaching computer science and computing skills. It is making a big impact across the UK with over 130,000 resources downloaded and more than 35,000 teachers using those resources. Owen Moody, chairman of BT’s East Midlands regional board, said: “Computing is a vital skill for the future of the East Midlands. For the individual, it opens the door to a world of possibilities. Businesses and organisations of all types and sizes rely on this technology, whilst households use it for online learning, research and entertainment. Barefoot was created in response to concerns that many young people today are passive consumers rather than active creators of technology – and risk being left behind. 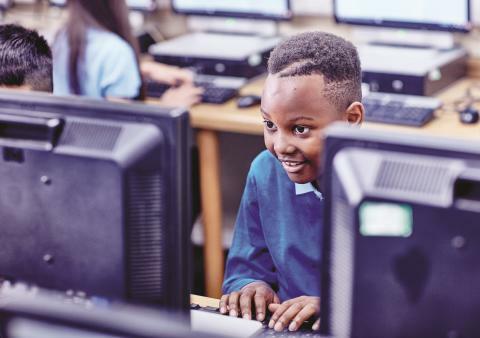 Findings from research company Ipsos MORI and BT showed how important it is for the UK to step up its efforts on primary school tech literacy. Seventy eight per cent of primary school teachers think tech literacy is as important as reading and writing. Seventy five per cent strongly agreed it’s their job to prepare pupils for a digital world, but only 25 per cent strongly agreed they felt able to do that. Barefoot is designed to address that need. Barefoot is part of BT’s Tech Literacy ambition and forms part of the long-term commitment by BT, unveiled in 2015, to help build a culture of tech literacy for the nation, reaching five million young people by 2020.